Fall is in full swing! I won’t lie, the transition from summer to fall is never easy for me. I simply love summer. I love being outside all day, I love being bare foot, visiting gorgeous Ontario beaches, observing flowers in my garden blooming… I could go on forever. I have to admit though, Canadian fall is a true charmer and she knows how to seduce us. Once the colors start changing, it’s hard not to fall in love. This cardigan is great at keeping me warm. At first I was really surprised at how warm it is! I love the colors of it - not my usual choice, but I’m so happy it’s not another black jacket. I enjoyed this book SO much, I’ve read it in almost one sitting. The title is definitely catching but can be a bit misleading. 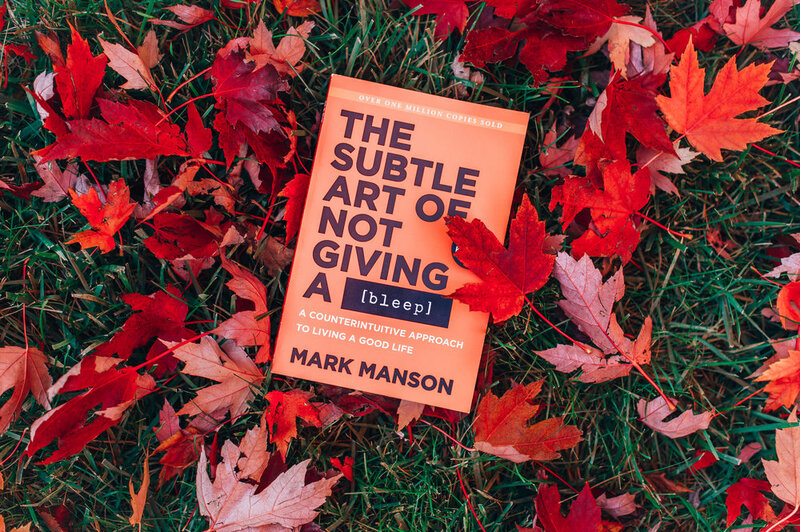 This book is NOT about slacking off. To the contrary, it’s about living to your highest potential while accepting that life is not perfect. It’s very hard to choose a favorite photo, but this moment was truly special. I really enjoyed working with Reema, because she’s such a confident woman. Confident women always inspire me. I photographed her in studio and downtown Toronto. When pigeons started flying around her, I asked Reema to look back and was fortunate enough to capture this great moment! I love timeless black and as a photographer I wear a lot of black so every now and then I like to spice it up with something special. 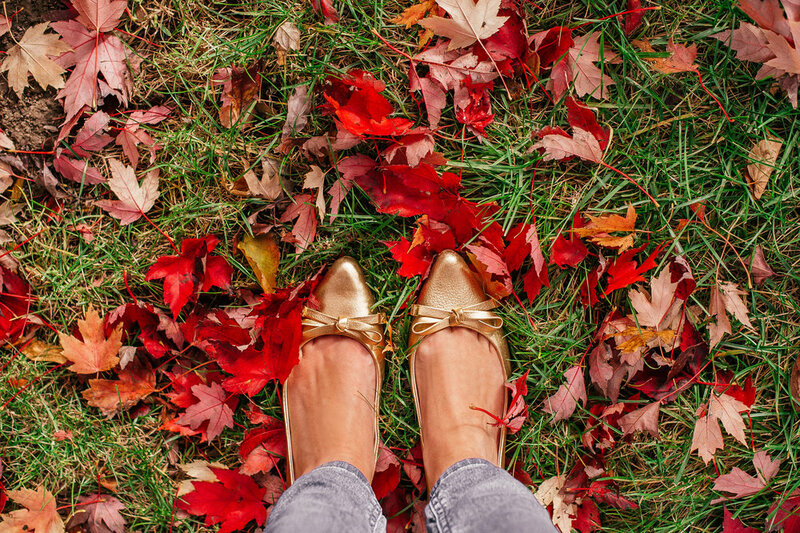 There’s nothing like a beautiful pair of shoes to look at during those dark fall days! This is my new mantra. Do Your Best and Surrender The Rest. Don’t just work at your life, enjoy your life. Know when to let go. This is a quote I want to look at every morning of every day! I hope you enjoyed my fall favorites loves! 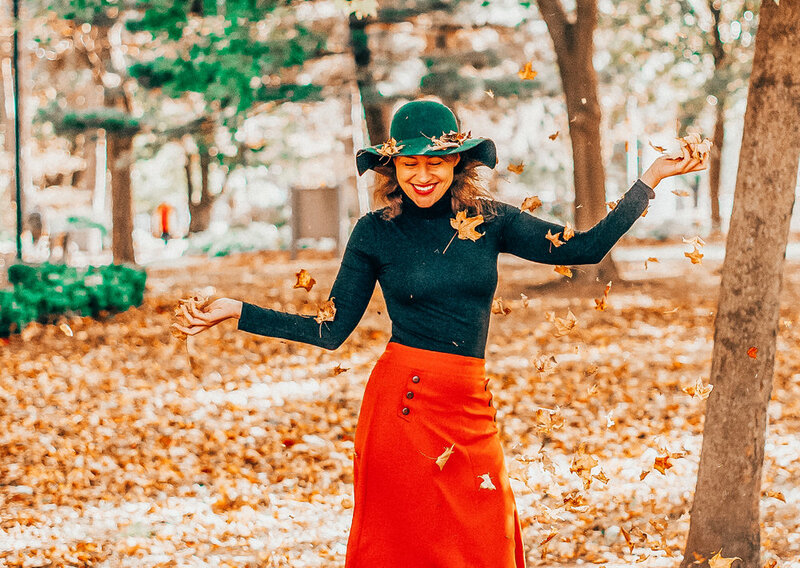 Let me know what are your favorite experiences and products this fall season!